AMD has launched a semi-custom chip for Chinese electronics manufacturer Zhongshan Subor – thus solving the mystery baffling onlookers ever since the package, nicknamed AMD Fenghuang, first appeared in benchmarks. This bespoke SoC (system-on-chip) will power both a gaming PC and a console within the Chinese market very soon. AMD already powers most of the console gaming market, with both the Xbox One and PlayStation 4 utilising semi-custom AMD solutions. But while console gamers have to wait for the next-gen to arrive, AMD is rolling out its most up-to-date architectures, Zen and Vega, into the Chinese market within a custom SoC before the end of 2018. At a hardware level, the AMD Fenghuang package features a four-core / eight-thread AMD Ryzen CPU, running at 3GHz, alongside a 24CU Radeon Vega GPU running at 1.3GHz. Those 24CUs also put this custom SoC on par with the Intel Kaby Lake G APU in terms of actual graphics silicon on chip. It’s also more graphically capable than the desktop Ryzen 5 2400G chip with just 11 Vega CUs, however, the 2400G’s matching 4/8 CPU is clocked significantly higher. As for memory, both have access to a shared 8GB of GDDR5 memory close by on the package, although it’s not yet clear how the system goes about dividing and addressing the available memory between the GPU and CPU. It was assumed this chip would arrive with in-silicon HBM memory, which earlier benchmarks had alluded to, but it was sadly not to be. 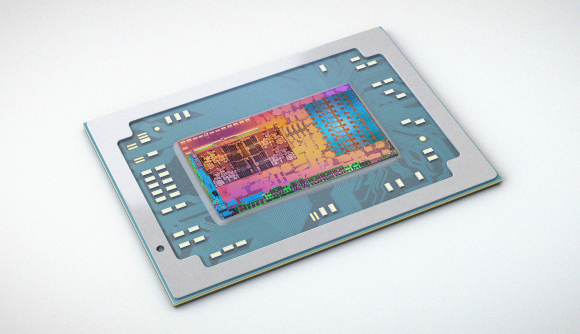 Jack Hunyh, VP of semi-custom at AMD, also confirmed in a blog post that the chip will support AMD’s FreeSync tech, Radeon Adrenalin Edition software, and Rapid Packed Math – so it’s very much a capable piece of PC hardware, too. But before you get your hopes up for an Intel Hades Canyon NUC rival from the red team, this custom SoC is unlikely to make its way out of China anytime soon. 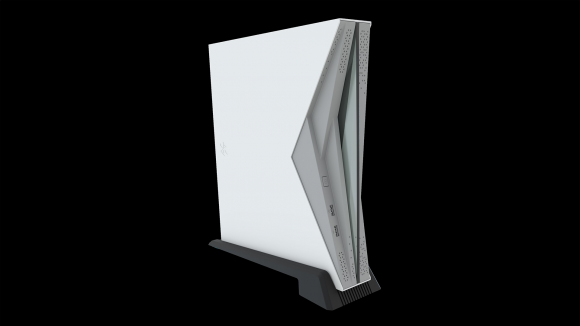 This custom chip has been tailored for the specific needs of the Chinese market, and AMD already has the wider semi-custom gaming market covered with functionally similar chips in the Playstation 4 and Xbox One. The Subor gaming PC was demonstrated at ChinaJoy, China’s biggest gaming exhibition, and the electronics company hopes to launch sometime late-August. The console is pencilled in for launch before the end of 2018.